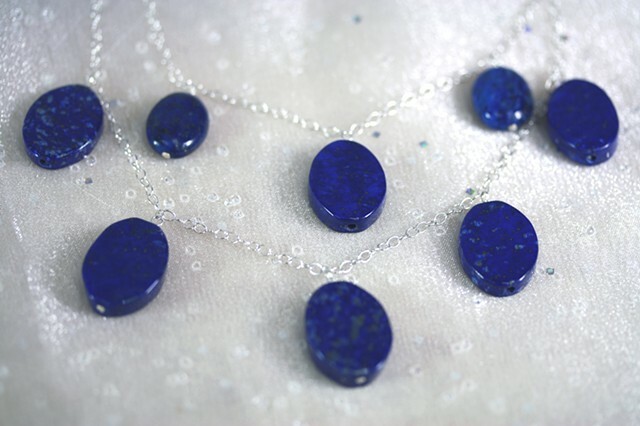 Eye catching lapis ovals fall from two sterling chains. Beautiful movement to this piece! Sterling lobster claw closure with 2" sterling extender.